A small village of nearly 600 inhabitants 13 km from Zirc, on the northern slopes of Bakony hill. 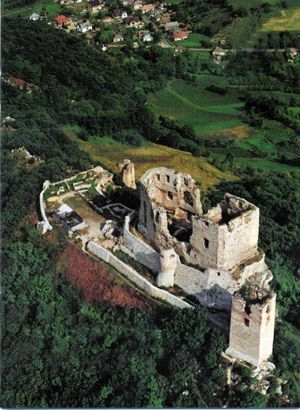 Its most important attraction is the more than 700 hundred year-old Castle of Csesznek open to the public all the year round. It offers a magnificent view of the countryside of Bakony. In the tower of the Catholic church dedicated in 1850, the oldest mediaeval bell of Bakony can be found. 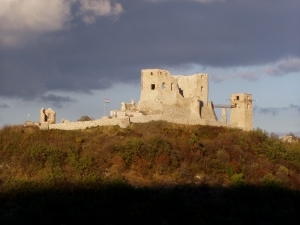 In the neighbourhood of Csesznek there are well-marked tourist routes offering a wide variety of hiking and walking possibilities. 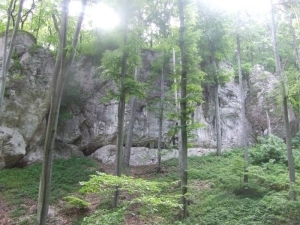 Beauty spots: Cuha-valley, Kő-ditch, Ördög-ditch, Ördög-meadow, Roman bath, the primeval fir trees of Fenyőfő. 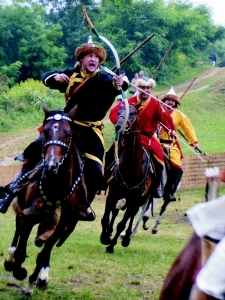 Programmes: Village day (May), Feast on Mary's day (September) and the nationally famous series of events called the Summer of Csesznek from April to August including the Castle days, the rock opera called "Stephen, the King" or the traditional rock concert of Edda.